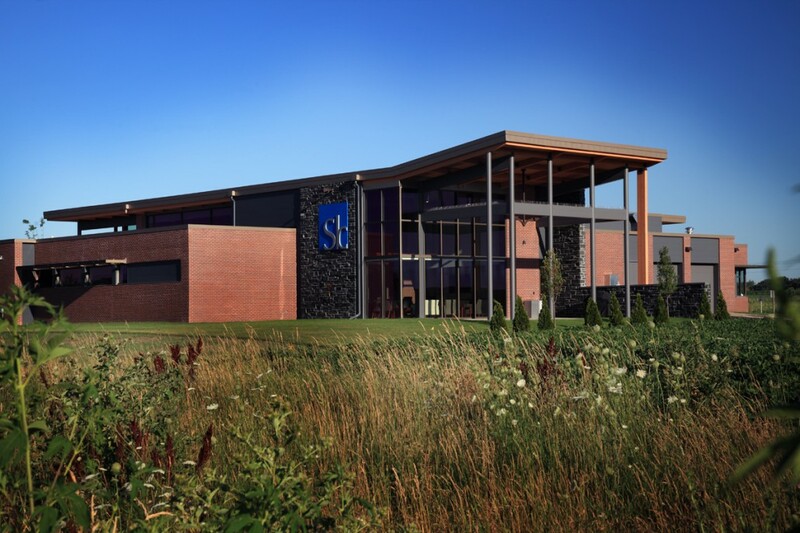 Settler’s Bank was started in 2007 by a group of entrepreneurs who understood the challenges many businesses and their owners encounter. Settler’s goal is to present customized solutions by having a bank staffed with seasoned professionals equipped with dynamic and innovative systems. 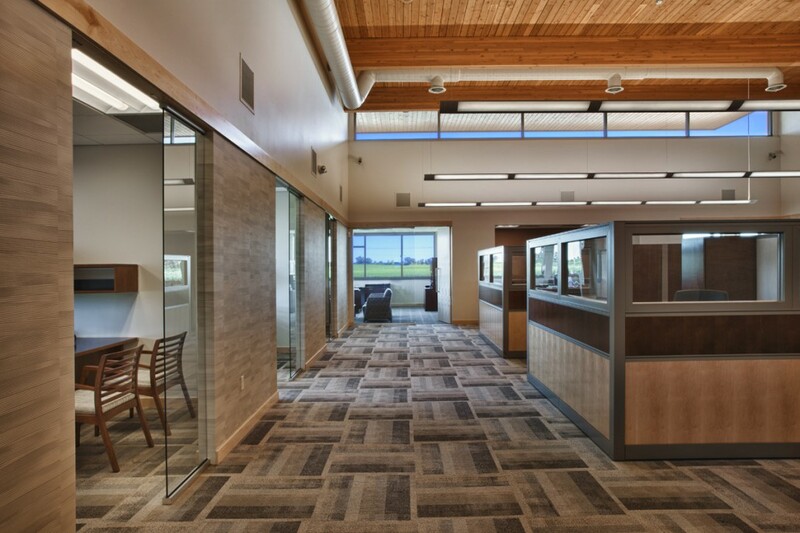 The organization quickly outgrew their leased space in DeForest, and selected Potter Lawson to design their new bank on the edge of town. 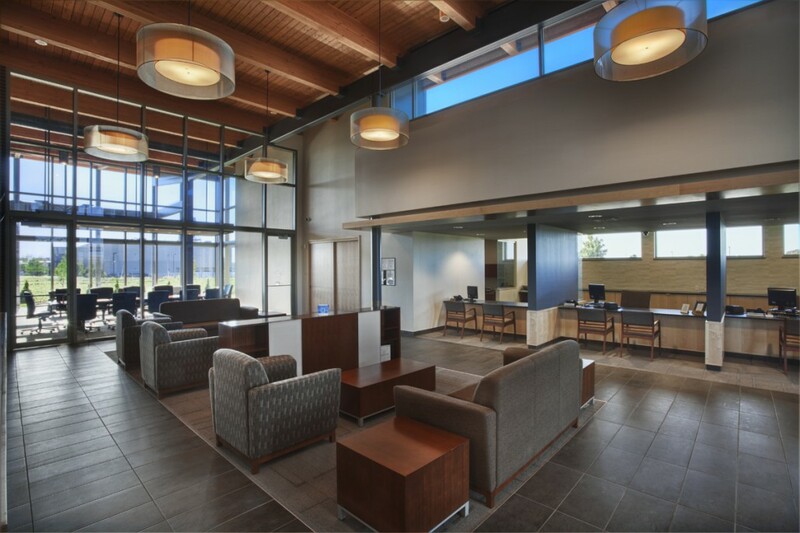 The 10,000 square foot facility is not a traditional bank with walk-up tellers, but rather features universal sit-down teller stations, and an aesthetic that portrays the bank’s progressive approach to the financial industry. The sleek contemporary materials and abundant natural daylight showcase the space. 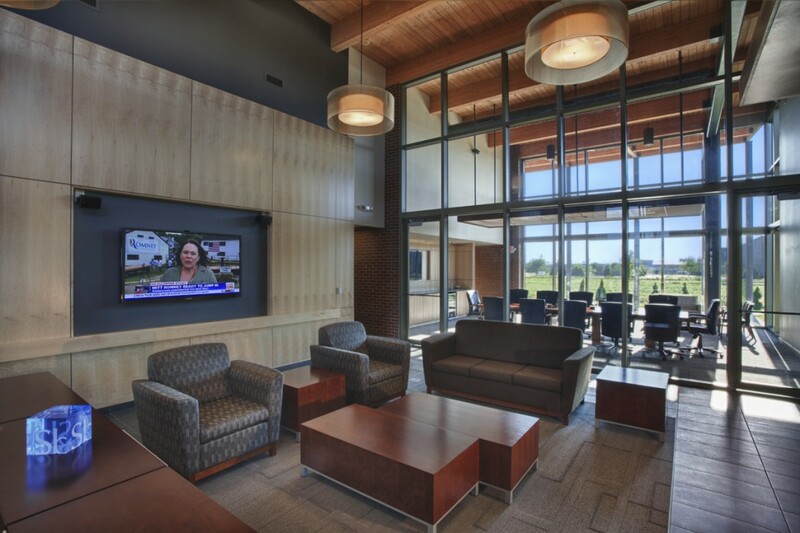 The open two-story lobby looks through to the board room and then to the outdoors. 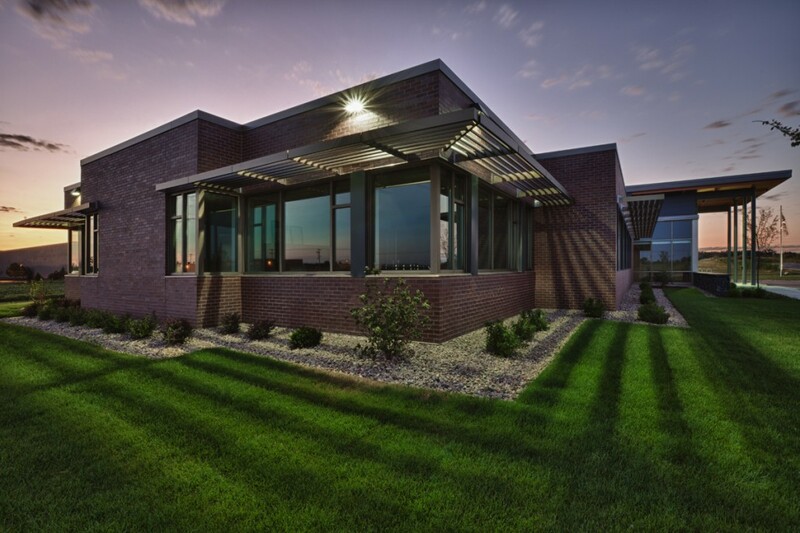 The building also includes private offices, open office workspace, a staff lounge, and a covered outdoor patio for staff and clients.